Many of you have submitted questions regarding trained weather spotters. What does it mean to be a weather spotter? What impact does it have? What does it take to be one? Today we’ll answer all of these questions and more, plus we may even inspire you to become a weather spotter yourself. What is a Weather Spotter? A weather spotter is first and foremost someone that has a commitment to helping their local community. Their responsibility is to report severe weather to the National Weather Service, or NWS. The weather spotter’s reports are communicated to 1 of 122 NWS Weather Forecast Offices, who then provide the public with accurate weather information. This volunteer-based program originated in the 1960’s as a way for the NWS to connect with regions across the country. The program is called “Skywarn” and it recruits weather-loving volunteers to help update the NWS of severe weather patterns that form. Weather spotters have had a vital role in public safety for over 50 years and that won’t change anytime soon. This role is important because the volunteers are the crucial link between the NWS and regions that need to be warned about impending weather conditions. Trained severe weather spotters monitor and report all severe weather activity to the NWS so their areas can stay informed. Therefore, their job has a deep impact on the safety and protection of the community they serve in. Without the hundreds of thousands of weather spotters in America, most of the severe weather in our country would not be reported as accurately or timely. If you have a strong passion for severe weather and public service, you should consider becoming a weather spotter. Skywarn currently has over 350,000 volunteer weather spotters across America, all who help warn their communities of severe storms ahead. The training for this role consists of a free two hour session hosted by the NWS or a local Skywarn group. It’s a mandatory session that teaches volunteers about storm structures, identifying severe weather behavior, basic weather safety, and more. If you’re interested in becoming a weather spotter and would like to find a Skywarn class or talk to a representative in your region, click here. Weather spotters are the unsung heroes of the weather community. You don’t know who they are, but they are constantly keeping an eye on severe weather that could threaten the lives and property in your area. Consider becoming a weather spotter and contact your local NWS Forecast Office about their training sessions and volunteer positions. If you are already a trained weather spotter and would like to share some tips or your personal experience, comment below! I already love it, it’s so awesome!!! How old do you need to be to become a weather spotter? I’m 14 and i’m aspiring to be a meteorologist, am i too young to be a spotter? You have to be 18. however, you are able to sit in on the training, I recommend it. Even in areas with much less severe weather like my home in dry Cortez in southwest Colorado, my training as a weather spotter still pays off. Several years ago, a summer storm with the classic appearance of a severe thunderstorm (pronounced advance shelf cloud, extremely dark clouds behind with lots of lightning, and white-green clouds with hail above) approached from the southwest and swallowed Sleeping Ute Mountain. I spotted it from Seventh Street as I returned from shopping at the local Walmart after visiting a classic car show at the city park. I scrambled back home to my landline (no cell then) and reported the storm to the Grand Junction NWS forecast office, which promptly issued a severe storm warning for Cortez and Montezuma County. That gave all the classic car owners time to scramble for cover with their priceless cars. Fortunately, the storm just barely missed Cortez to the west and raked the city park with strong winds, but no trees went down. Other trees were blown down on the south edge of town and hail was reported to the north in the county. So even in areas where weather usually is rather quiet, spotters’ public service still can become very valuable. From one spotter to another – if you’re interested in spotter training check your local NWS page frequently and plan ahead, even if it’s a year in advance. My area had the intro training once a year which I found out two months after the fact. I kept checking back and signed up for the following year. It was definitely worth the wait. Hope this helps my fellow future weather spotters! The weather channel has always been a favorite of mine. My grandson used to ask me, “Who watches the weather channel?” and I would say, “I do.” Now with all the data and different programs on the Weather Channel, am sure more people than ever watch. Years later when Mike Seidel joined, I was happy to see someone from Salisbury, MD., approximately 7 miles from here, on the Weather Channel. He has done great and am so proud of him and his accomplishments, including 25 years with the Weather Channel. All of your personnel at the W/C are terrific people helping bring the weather every hour, every day, etc. 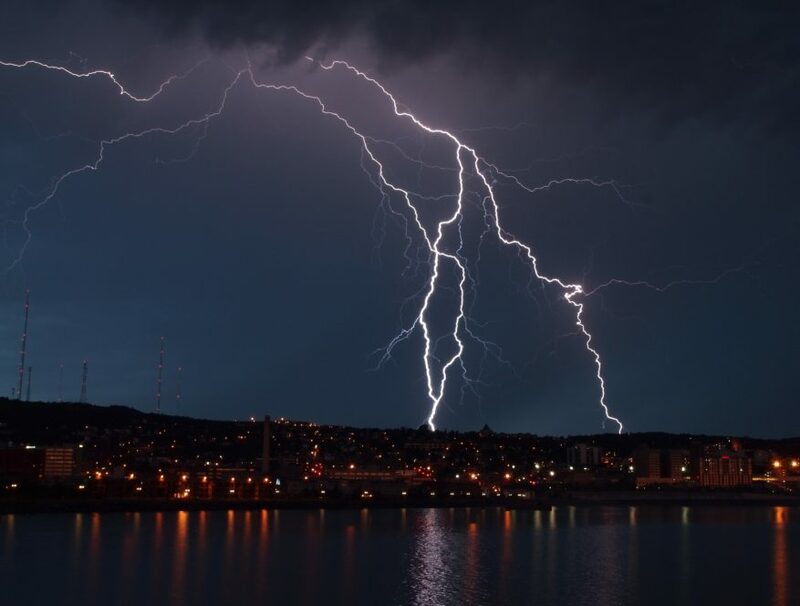 including onsite conditions when storms occur, and just about anything about weather to those who connect with the Weather Channel. They all are so well connected with the public and well worth their weight in gold. Would not go one day without the Weather Channel and love all you guys and gals! Thanks! I would like to be a weather spotter, but there is no information in my area for course schedule. The info that is available is rather vague: “Courses run from May through Sept (classes are not held in June, July, or August)…” And the posted online schedule is completely blank. I sent an inquiry email–I hope to get a reply. I haven’t received a reply from the email I sent either. Hi Everyone; Yes I am a Weather Geek. I have been a trained spitter since 2001. I report my findings to NWS in Chicago. You have to have an interest to begin with and classes are held in our area late winter early spring before our severe weather season begins. I am also a member of CoCo Rahs. What a member does is give daily rain or snow amounts to the CoCo Rahs website who in turn reports it to NWS. I always enjoyed the Earth Science in school and this way I can keep up my interest in it. My next step is to aquire a weather station. Well, I’ll have to wait until next year. They only do the classes in January, February & March here. I am a retired pilot with nearly 7,000 hrs. We have to have a knowledge of weather systems & forecasts, and I thought it would be a good idea to use that knowledge since I live in the Southeast (South Carolina) and it is thunderstorm season for us right now. Ive learned a lot being a spotter and continue to do so with the online classes! I’m in the nw Indiana sw Michigan area, so not only severe weather, but also lake effect snow in the wintertime! How is it possible to be a Spotter and keep a full time job? Indy, it’s easy to have a full time job and be a weather spotter. You are not reporting climate readings from a weather station. You are reporting severe weather when and where you see it. If you’re at work and see flooding, you report it from work. If you see hail at home, you report it from home. I Love being one of many Spotters here on the Gulf Coast…. The weather here can change so fast because of the Sea Breeze Front and Humidity, this time of year…..